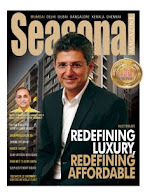 Seasonal Magazine: FUTURE VENTURES IPO - Will History Haunt Future? FUTURE VENTURES IPO - Will History Haunt Future? 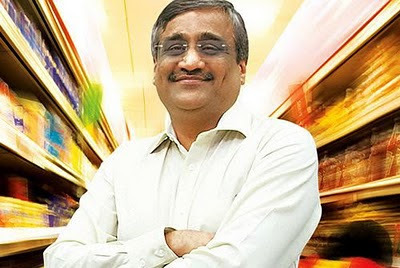 Riding on the momentum of India’s consumption-led retail success, Kishore Biyani led Pantaloon / Future conglomerate is tapping the markets for a third time. But prudent investors are sure to take a hard look at the Group’s capital markets history while assessing Future Ventures’ IPO. Since its IPO in 1991-92, Pantaloon Retail (BSE: 523574, NSE: PANTALOONR) has a history of losing money for many investors, floating around as a pennystock in single digits for the better part of six long years from 92-93 to 98-99, trading even as low as Rs. 1.50. The Group’s second listed firm, Future Capital Holdings (BSE: 532938, NSE: FCH), has a shorter capital markets history of barely three years, but not much less of a rollercoaster ride for investors than Pantaloon. From highs of Rs. 1044 in FY’08, FCH had tumbled to Rs. 93 by the next fiscal. But in a way all that is history, as Pantaloon Retail now has a year-to-date price performance of around 60%, while FCH has a six-month price-performance of around 40%. But whether the history of serious setbacks can be forgotten, is a question to be answered by investors who burnt their fingers in these stocks. There is also another difference. If the earlier value proposition was “Invest in the Retail King”, the current will be “Invest with the Retail King”, as the now planned IPO is for a venture capital fund that will invest in other companies as well as Future Group companies. Interestingly, the Issue size has come down to Rs. 750 crore from Rs. 3730 crore, the amount Future Ventures unsuccessfully tried to raise in 2008 before the crash. Now all eyes will be on whether the Group will expect stratospheric valuations too like Pantaloon that trades at 57 P/E and FCH that trades at a price-earnings of 88, which makes them fit candidates for a significant correction if smart money again takes a sojourn from India as in 2008.